If anything, this book is 'unexpected'. 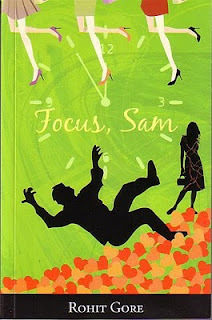 Although a Rupa Publication warrants some quality, I was rather skeptical about Focus, Sam, when I bought it. The title was chiefly to blame. What else does one think of a book that sounds like a dubious imitation of the wonderful English, August? And if, even after reading the book, I have my doubts, the title is largely to blame. I still don't get it. I'm not sure the author gets it either. It is, as if to assuage his own doubts, the author inserts the phrase 'Focus, Sam, focus' at many random points in the book. The vague purpose of the story is about the protagonist Sameer Sathe understanding what he wants from life, but it doesn't quite justify the title. In fact, I find little justification for the entire story. Focus, Sam doesn't really start with a purpose; it doesn't really reach a conclusion. But the funny part is that it is a nice novel. Its plot is so unlike anything I've read before, that it left me pleasantly confused. In the briefest possible summary, Sameer Sathe is an engineer-turned-bookseller, who is curiously affected by accidents every year of his life. A mysterious seer tells him it's a curse and that the next accident would kill him. The only way to lift the curse is to revisit every 'love' of his life, and find his saviour. The book describes how Sameer, with the help of his best friend, Jai, go about the process. It is in describing this process that the merit of the author, Rohit Gore, lies. The introduction of the medieval idea of a curse in a modern setting and the choosing of some extremely varied characters (even caricatures), who have been the protagonist's past loves is definitely the book's high point. But it never becomes clear in the book what exactly the curse is, or how revisiting these women will right it. Right to the end, the reader can make only half guesses as to what the message of each of these episodes is. 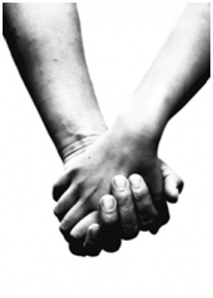 There is no clear pattern; only a vague indication about finishing the unfinished businesses in these relationships. My best guess is that these past issues block his future happiness; but it is never clearly stated. The author never explicitly spells out that that is his curse, and one is left wondering how resolving these will change the status of his physical safety. The language is crisp and modern, although the author is given to frequent 'cheesy' slips. There are a fair number of well-sketched characters and they hold their place well in the story. But the author often goes OTT in showing off how well read he is and throws around names of famous books whenever he can. My other minor grouse is that the book has not been edited thoroughly and despite a frenetic reading pace, I noticed a handful of errors. The most jarring of all was the name of the protagonist spelt as 'Samir' instead of 'Sameer' on Pg. 195. There is a final disappointment in the lack of a solid premise in the book, but as long as you are reading it, you can't help but enjoy it. 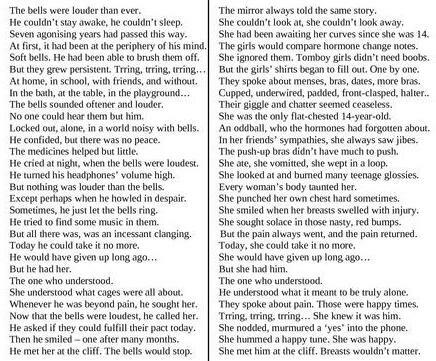 Read it once, I would say. “So, how is this author you are reading?” asked Viren, my husband. “Umm… she’s a foodie,” I said. “Eh?” asked a bewildered Viren and I will now tell you what I told him. Puneetinder Kaur Sidhu isn’t much of a writer. If anything, she’s a foodie-masquerading-as-an-author-in-a-hurry-to-finish-narrating-the-intermittent-bits-between-elaborate-descriptions-of-meals. And yes, she’s a big alcohol fan too (bewdi in other words). So what does that make ‘Adrift – A Junket Junkie in Europe’? A rushed catalogue of European cities; a European food and beer guide. What struck me most about the book was its lack of emotion. Not that the author does not talk about friends and relatives, joys and (a few) tears, anticipations and disappointments, but somehow, she manages to maintain a cold voice throughout the narrative. Oddly enough, the language is rather flowery, without betraying any feeling. Perhaps I should have been sufficiently warned by the blurb, which states that the author is simply travelling, and not seeking any truths about life. But when one reads a story of travel, one tends to expect tales of unexpected and warm friendships in distant lands. This book has nothing of the sort, except names of her hosts and drivers and the briefest interludes with them. The reader never really is acquainted properly with any of the characters, save for the author’s and that too is fairly little. 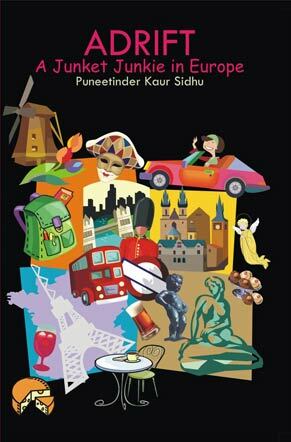 Who is Puneetinder Kaur Sidhu, you ask, and can conjure up only a couple of adjectives, ‘overweight’ being one of them, because the author constantly pokes fun at her ‘far-from-petite’ self. That is the saving grace of the book, and it is refreshing to read a woman who is not ashamed to admit her love for food and its consequences. Another thing about the book is its speed. Actually, the words I’m looking for are ‘rushed’ and ‘hurried’. Although, like all readers of the age of instant coffee and instant noodles, I like most of my books to be fast reads, but there is a big, stark difference in quick-paced writing and hurried writing. I’ve realized this only after reading this book. It reads as if the author was forced to write it, had a terrible deadline to meet and/or had some horrible secrets to hide. I’m all for non-word-mincing writers, but hey, clue me in! Before you can figure out one European environ the author packs up, leaves and goes into another place, dragging you with her. After the book, I am none the wiser about European geography. I am left only with a blur of Germany, Vienna, Paris, Hungary, London, some uneventful events therein, and some random images of monuments. The silly chapter summaries at the beginning of the book almost make sense, because without those, you forget what the book was about. Frankly, I do not understand the purpose of this book. It neither gives me lusty enough descriptions of touristy beauty to want to save my salary for a Europe tour, nor does it pull at my heartstrings with the passion of wanderlust to want to pack up and take the next plane to Europe. Such dry memoirs are best written in personal diaries and left there. Surely the best way to avoid disappointments, is to avoid expectations. 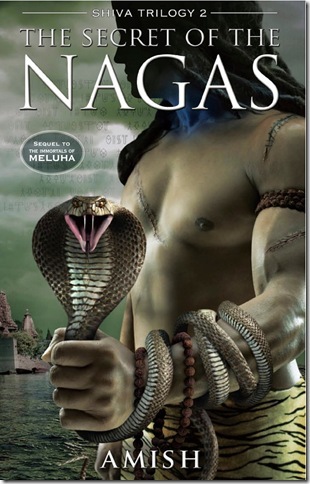 The second of the Shiva Trilogy, The Secret of the Nagas did not disappoint because I expected nothing from it - or should I say, I knew what to expect. Staying close to the plot of the first of the series, The Immortals of Meluha, Amish Tripathi has written yet another action-packed book in his same irreverent style. For those who don't know what I'm talking about, a histori-mythical Lord Shiva (the protagonist) talks like this --->; How did that dog move so far ahead? right from page 1. But when I say the book stays true to the plot, I refer to book 1, because The Secret of the Nagas really has no secret to offer; not a substantial one in any case. The Secret of the Nagas is a book heavily dependent on both - its prequel and its sequel and cannot be read as a standalone book. It is perhaps designed that way, but the reader feels cheated when he reaches the book's end and finds that he has not been made privy to any earth-shattering secret. Instead, there is an element of slight surprise, and a hurried 'handover' to the next book in the sequel. However, most readers will enjoy the book, as its style is racy, pretty much like the first part. Amish Tripathi (I wonder why he prefers using only his first name) has delivered yet another accessible and easy-to-read book, even as he unfurls a new plot using old tales. New characters like Maharshi Bhrigu and Parashuram have been introduced and Kartik and Ganesh as Shiva and Sati's children have been cleverly introduced into the plot. What I find utterly commendable in this book is that it has dared to call popular Hindu deities, Ganesh and Kali, 'ugly, deformed creatures', by having them belong to the Naga clan. Despite blatant clues like the phrase 'Lord of the People', it came to me as a complete surprise when the Naga leader's identity was revealed to be that of Ganesh. Kali as Sati's twin is also an interesting take on the different rupas of Shakti. Other interesting bits in the book include a spin on Parashuram's legend, Sati 'controlling' the lions of Ichhawar, Shiva's angst against Ganesh and Daksha and Shiva's confrontation. The Vasudevs make their appearances in this book too, with a healthy dose of philosophy, whereas the Parvateshvar-Anandamayi courtship provides the romantic angle. 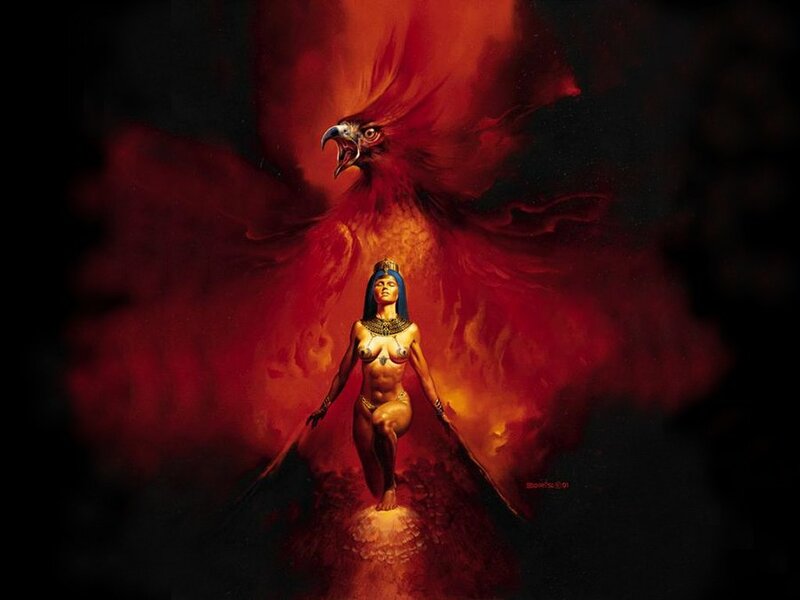 It seems to me that the writer has almost written the story backward, deconstructing the popular mythological stories, picking up elements he likes best and then spinning a tale of his own, keeping the thread of sequential logic intact. I continue to admire Amish's ingenuity in writing a completely new story while staying within an arm's length of the old legends, and taking every opportunity to educate the readers about interesting tidbits of Indian mythology. The book as a final product did little to impress me, but I will yet again look forward to the last book of the series - The Oath of the Vayuputras to see where the story ends. I'm not exactly a magazine person, but some good ones warrant a review. I picked up a couple of issues the the BBC Knowledge Magazine, and was quite impressed. My strong bent towards religious studies prompted me to first pick up the Mar-Apr 2011 issue, because its cover story promised to debate a question that has long plagued mankind - Does God Exist? The article described at length the various theories of logic that have been put forth over time in a bid to prove or disprove God's existence, but I was a tad diappointed by the lack of religious points of view. But a magazine such as this needs to stay informative and non-committal at the same time, especially in delicate matters like religion, and the restrain is understandable. But the reserve is restricted only to that religion-sensitive feature. All other articles are thorough, exhaustive and most importantly, lucidly-worded. The lead article of the Jan-Feb 2011 issue on modern espionage, for example, is rather compendious. It traces spy technology from the World War days to the modern day of Facebook and even adds a little about what you must do if you want to be a spy! But I, especially, like their news in context feature, which is a fantastic clue-in for people like me, who do not much follow current affairs or political news. It gives a nutshell histori-political account of the current news, offering a much needed perspective. Two other things that most people would find appealing/accessible are the photo features and the QandA sections. The photos are expectedly award-winning, but it is the trivia that comes along with it, that is the important value addition. Also, what is special about this magazine's QandA section is that the answers are well-researched, unlike most other magazines, where similar sections offer highly general and 'common-sense' answers. The magazine is neatly divided into history, science, nature, features and experts sections, and the spread is varied enough to cater to all sorts of readers. Although I might go as far as to say that science and nature aficionados will find more meat in the magazine than others. But most articles (science or otherwise) strive to offer a fair number of perspectives, and are highly credible, what with a small army of experts on the magazine's panel. That said, the articles are quite readable, despite their knowledge-heavy nature. The articles are logically structured and have some rather informative boxes within them. BBC Knowledge quite simply offers you what it means to - knowledge. Flipping through magazines like this one wonders what one finds here that they cannot on the Internet. Truth be told, nothing. But then again, if it weren't for magazines like this, you wouldn't know what to look for. The last time I read a William Dalrymple tome, (The Last Mughal), Bahadur Shah Zafar stayed with me for many months. This time, though, the central characters Col. James Achilles Kirkpatrick and Begum Khair Un Nissa may not have such a long memory life. Dalrymple, in his characteristic style, writes such detailed accounts of every historical figure he comes across in the love story of a white (and a) Mughal, that the reader often forgets whose story he is reading. The author seems to have a compulsive need of shoving every little piece of research down the reader's throat, as the tiresome number of lengthy footnotes will suggest. 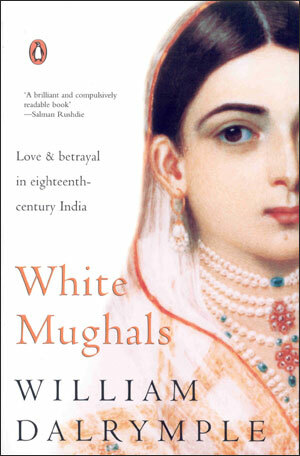 That said, the information that one gathers from reading a Dalrymple book is phenomenal, and White Mughals is no exception. The first chapter is an exhaustive recce of the instances of cross fertilisation of cultures that took place between the Indians and her many colonisers before the 18th century. Throughout the rest of the book, a comprehensive view of the political, economical and social (cultural) aspects of the late 18th century India emerges, as the author painstakingly puts together facts long forgotten. As one trudges along the voluminous 500 pages in small print, one discovers the many nuances of a Hyderabadi nobleman's life and an East India Company officer's days. Interesting little details of the food, dress, climate, language, architechture and manners of the time are thrown into the narrative, to ensure the reader 'stays' with the plot. The main story, though, is of the handsome Col. James Achilles Kirkpatrick, a British resident at the court of Nizam Ali Khan of Hyderabad, with whom the beautiful teenaged noblewoman, Khair Un Nissa falls hopelessly in love. With help from her mother and grandmother, Khair Un Nissa seduces the colonel, eventually marries him and has two children by him. The affair, however, causes great upheaval in the court and even threatens the delicate political balance maintained between the Nizam's dominion, the East Indian government, and to a certain extent, the Maratha kingdom as well. The effects of the scandal are so far reaching, that not one, but three full blown inquiries are conducted, putting Kirkpatrick's reputation and career at stake. The duo emerge from the storm, but their happiness is short-lived. Their children are sent away to England for education, Kirkpatrick dies at the young age of 41 due to ill health during an official trip, and Khair Un Nissa is left all alone, with many enemies to fend off. Khair Un Nissa finds love again in the arms of her husband's assistant, Henry Russell, albeit for a short time. Russell ditches her for another woman, while Khair is in exile. Khair manages to return to Hyderabad after the death of her vengeful cousin, Mir Alam, but in the end dies of loneliness and a broken heart, aged just 27. But the story isn't about just one tragic love affair. Dalrymple shows us glimpses of a world before Governer General Wellesley, a world before terrible racial prejudices set in, a world where love between a saheb and a bibi was possible. the eagle flies where the wind takes him. Tonight, is the night of free will - though dark, 'tis pure. and he bursts into flame. She watches as he burns, dawn to dusk turns. His new heart must come by, to have his thirst quenched. and waits for his fall. And so the cycle turns, and they a myth become.